The mainstream media, however, overwhelmingly endorsed the elections in the U.S.-ally state, presenting it as a moment of hope for the country and downplaying any negative aspects, especially violence. CNN reported that "though there have been isolated incidents of violence related to the election, they have been minimal." The Associated Press went further, claiming the real danger facing Colombia was that Petro would push the country "dangerously to the left" while NPR described Alvaro Uribe as "immensely popular," and failed to mention any connection to the massacres his government had implemented. 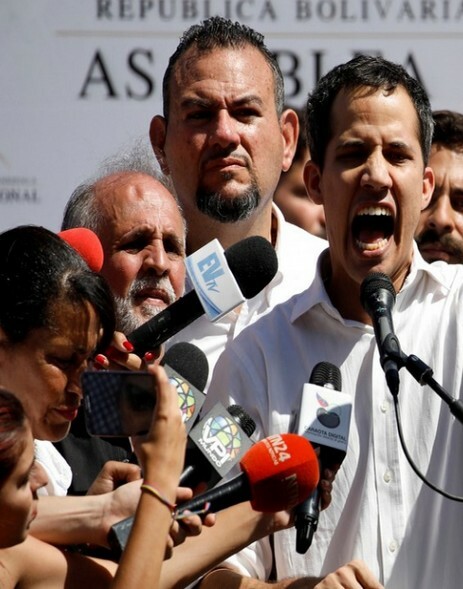 There were certainly some questionable aspects to the Venezuelan election. However, the idea of a full-blown "sham election" was flatly contradicted by every international election observation organization monitoring the elections, many of whom produced detailed reports attesting to their exemplary organization and implementation. There were a number of prominent international observers monitoring the 2018 elections, including former Spanish Prime Minister Jose Zapatero, who said he "did not have any doubt about the voting process" and the ex-President of Ecuador, Rafael Correa, who declared the “impeccably organized” elections proceeded with "absolute normalcy."